We’ve got Millionaire (EuroMillions betting) and EuroJackpot. From the States there’s the supersized MegaMillions and PowerBall draws. We’ve also got Irish Lotto, Polish Lotto, four lotteries from Australia and many more big draws from Europe and beyond. We’ve also got a range of exciting scratchcards, with top prizes of €1 million available! We’ve got a diverse staff of over 150 employees, from over 30 countries, and we are growing rapidly. “EU Lotto” – EU Lotto Ltd, a company registered in Gibraltar with company number 109514, which is officially licensed by the Gibraltar Betting and Gaming Association to accept Bets on lotteries (licence number RGL 066) and to offer Casino-style products (Scratch-Cards) (licence number RGL 085). EU Lotto acts as a bookmaker, determines the odds, is responsible for the payment of Winnings and pays out the Winnings in Gibraltar to Lottoland for distribution to Players. 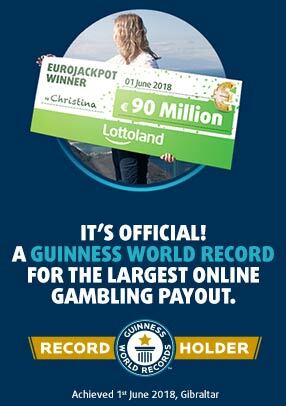 EU Lotto is officially licensed by the UK Gambling Commission to accept Bets on lotteries under licence number 38991.